You may think that all guitar picks are created equal. If that's the case, you couldn't be more wrong. Guitar picks, although very small, can make a huge difference in the tone and attack of your instrument. 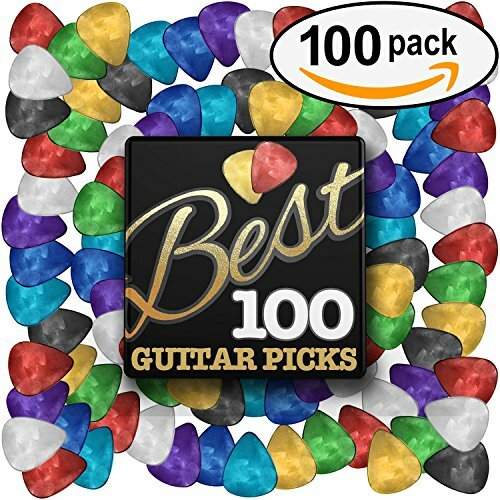 From the standard plastic picks that come with every beginner guitar to highly specialized jazz style picks which create a ton of dexterity, there is a wide variety of options available. Do I need to use a pick? How do I use a pick? What different types of picks are there? We are here to outline the 10 best guitar picks and their corresponding function. If you're in the market for some new guitar picks, read on to find out more about what makes up the different pick styles. To start off with, here is a pack of some of the most standard style picks you will find. This 24 pack is comprised of the thin, medium, and thick picks which are all made of celluloid. This is the standard material that many picks are made of. If you are looking to "pick" up a pack that lets you sample different sizes, this is for you. The celluloid picks will have a regular attack and a bright tone. The thinner picks are better for strumming and the thick ones for more rigid playing. Why We Liked It - If you're looking to get the most practical testing pack money can buy, this is the pack for you. Multiple sizes without any special additions will help you find the right size for your style. The second pack on our list is another sampler with a few more choices to pick from. Ranging from extra thin to heavy, these picks will help you hone in on your favorite size. They are also made from celluloid which is a very smooth and malleable type of material that is easy to play with. Why We Liked It - Along with the first pick on our list, this sampler pack gives you many options when it comes to the size of the pick you want to use. You can range from being a beatkeeping strummer to a shredder in the same pack. 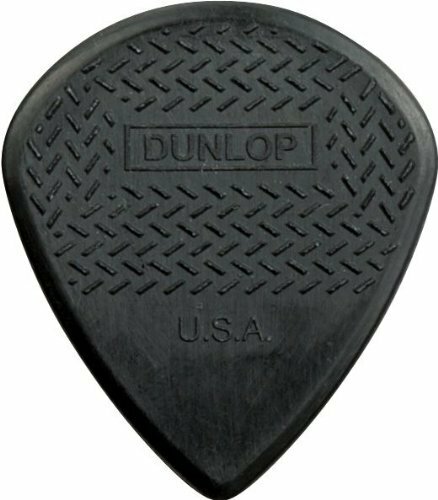 Dunlop is widely praised for being the industry standard as far as guitar picks go. In this sample pack, they throw together a few different styles of picks for you to try out. They offer thin/medium and medium/heavy picks in a variety of materials. The package includes .60, .73 Nylon Standard; .60, .73 Nylon Max Grip; .60, .73 Tortex; .60, .73 Ultex; .58, .71 Gator Grip; Thin and Medium Celluloid. 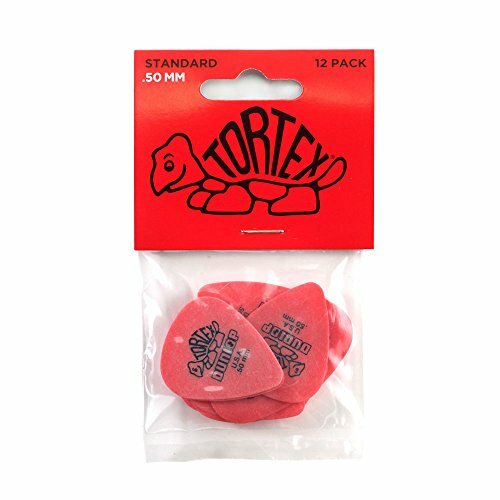 The Tortex is the most common cheaper pick style with nylon being another popular option. this way you will get to not only try out different thicknesses but also different feels. Why We Liked It - It's nice to have variety when you're not quite sure what is the best pick for you. Being able to choose from different materials and sizes will give you the diversity you need in order to get comfortable with a style of pick. Most guitarists will tell you that you can never have enough picks. They are like socks in the washing machine, sometimes they just disappear and reappear at will. Having a pack of 100 picks at your disposal can save you a lot of time and hassle of looking around for picks. This pack offers a wide variety of sizes and materials to keep you stocked up with whatever style you need. Why We Liked It - Just having this many picks on hand is a huge plus. It can be a pain when you want to jam but have to find a pick first. Home-made guitar picks just don't cut it, so you want to make sure you have enough real ones on your side. The Dunlop Tortex picks made tortoiseshell picks the most popular style for years. 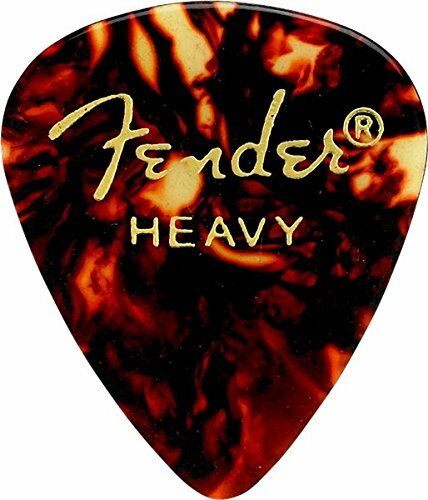 They are the most standard size and feel that you can get in a guitar pick. You can choose from a variety of pack-sizes and thickness gauges, so you'll need to know what thickness you prefer. 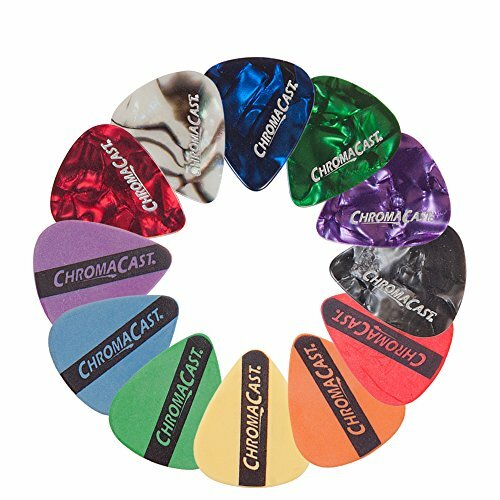 The texture, feel, and performance of these picks will never disappoint and they have been used by professionals and amateurs alike for generations. 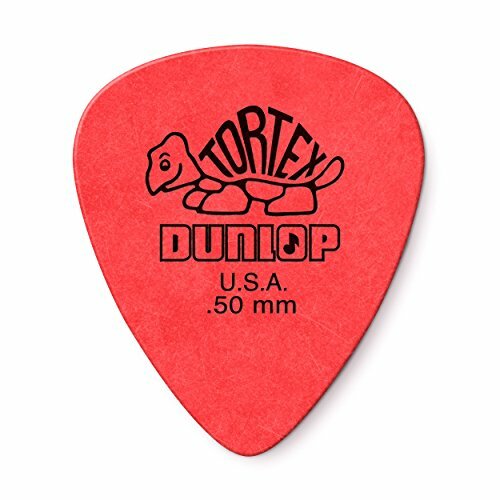 Why We Liked It - For anyone who has been playing guitar for a while, certainly a Dunlop Tortex pick has grazed their fingers. Simply the standard feel that you can expect from a guitar pick. The Tortex design offers a bright and responsive tone. As previously stated, the Tortex picks will not disappoint. They offer minimum wear and maximum memory to cater to individual guitar players needs. These thinner picks will give a really bright tone but a little extra give. This particular thickness is best for players who do not require a really speedy attack on the strings. Rhythm guitarists everywhere love these thin picks. Why We Liked It - When you're playing rhythm guitar, having a nice smooth attack on the strings is really important. This thin tortoiseshell pick offers you the suaveness you need. 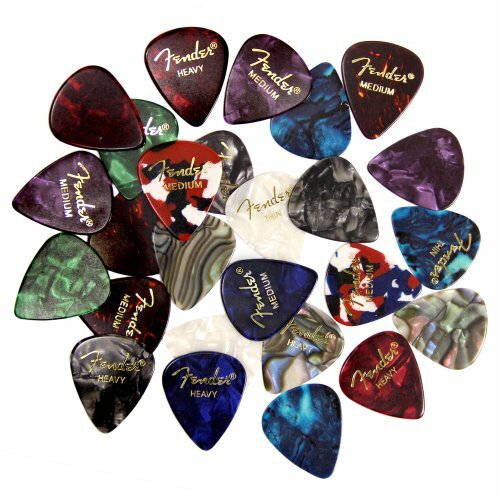 Fender offers a 12-pack of picks that come in many different sizes and colors. They come in the standard shape that you are likely used to and you can choose the gauge that works for you and an exciting design that suits your style. These picks will play mostly the same as other standard shape picks but offer a little more variety. Why We Liked It - The playability of these picks will offer exactly what you expect. the fact that you can get a wide variety of designs is the major plus of this pack. This is the most specialized pick we have o this list. It is a max grip nylon jazz style pick. That means that the pick will be just over half the size of a standard Dunlop style pick. This style is meant to be played with a lot of little nuances and speed when necessary. The extra grip will keep the pick where it needs to be while you're shredding at maximum heat. Why We Liked It - When you're trying to lay down some serious licks, you need the most appropriate pick for the job. 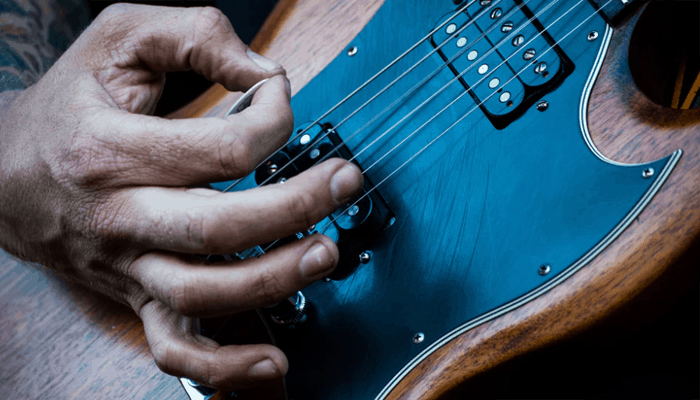 Many experience metal, rock, and jazz guitarists gravitate towards the extra-grip picks because of how quickly you can get around the strings. 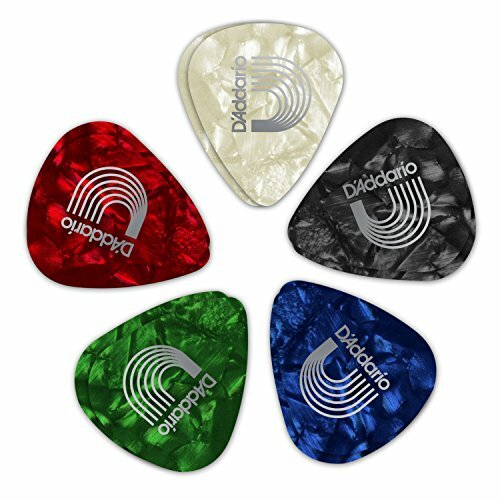 The D'Addario standard shape picks are another industry standard. D'Addario has a wonderful reputation for providing high-quality products to the music industry. The celluloid medium gauge picks are great for any player who strums and plucks. It is the most versatile gauge as it allows you a lot of play with your personality when you're performing and practicing. Why We Liked It - The celluloid material feels natural in the hands of a guitar player, and the medium gauge is truly the most versatile when it comes to different genres. 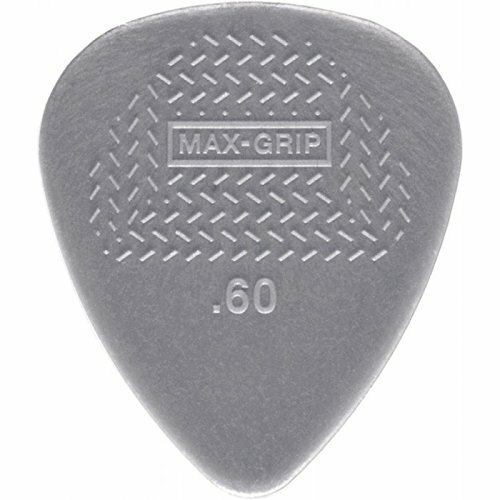 If you noticed that you have trouble holding on to picks during a show, then you may want to try out the max-gip picks. The grip area offers you the ability to have a better hold on the pick that you're playing with. These are standard size and come in a variety of gauges to satisfy any player. They are made of nylon and are very durable and meant to last. 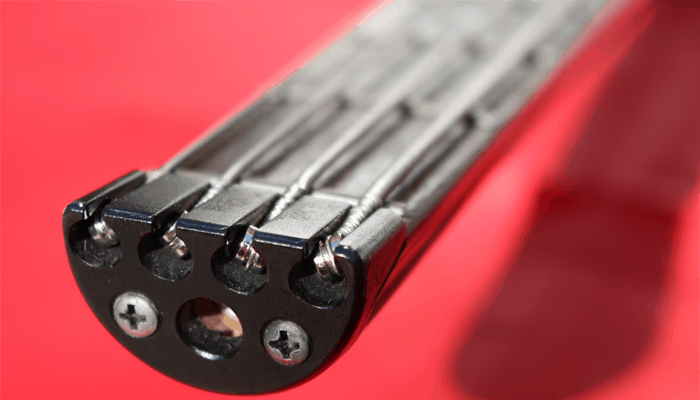 Why We Liked It - If you need a little extra grip but still want the standard size of picks, then the Dunlop max-grip picks are the right choice, You never have to worry about dropping your pick mid-performance again. 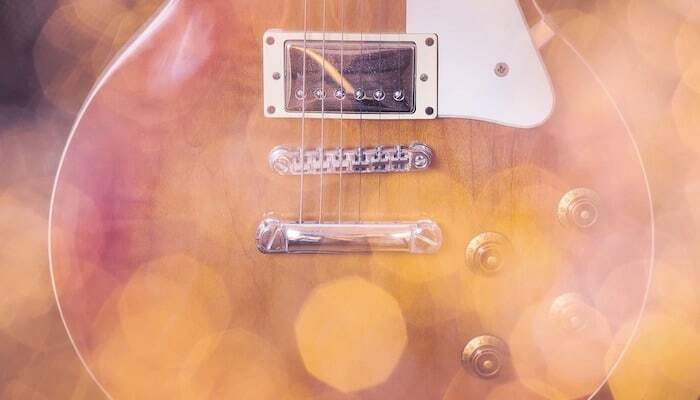 If you're new to playing, or you're in the market for a new style of pick that will better suit your style, it's important to keep a few things in mind. There can be a number of factors that indicate what pick will work better for you. In this short buyers guide, we try to answer a few frequently asked questions to help make the choosing process more simple. You're going to want to make sure that you are getting the right size, shape, gauge, and material you need. 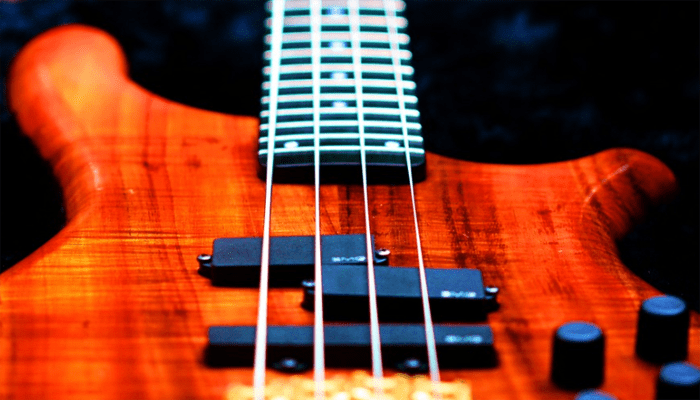 If you are a rhythm player, a thinner gauge will offer a little more flexibility and seamlessness to your playing. Players who need a bit more diversity should go with a medium gauge pick as they are suitable for both lead and rhythm playing. If you play mostly lead and need a really responsive attack, then a thicker pick will do the trick. The shape of most picks is similar. 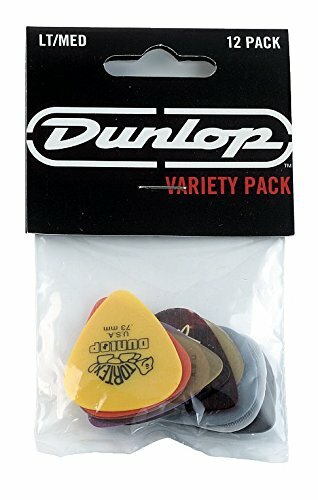 Most guitarists use the standard size which Dunlop makes widely available. However, some players prefer a smaller pick to help them get just a little closer to the strings. A small pick gives you the ability to get closer to the action and really feel for what you're trying to play. When it comes to material, tortoiseshell and celluloid are widely practiced. They are hard and smooth surfaced and don't provide maximum grip. Suitable for many less aggressive styles of play. If you're playing much quicker and need the pick to stay in place, nylon material or an extra grip design will work out much better for you. It is not totally necessary for you to use a pick depending on what you are trying to accomplish. There have been many famous guitarists who never used a pick, but they are a rarity. Using a pick for most styles of music makes it easy to get maximum responsiveness from your music. Playing without a pick can make it a little more difficult to be totally accurate with your playing. However, there are many guitarists who, after much practice, accomplish this feat with what seems like maximum ease. 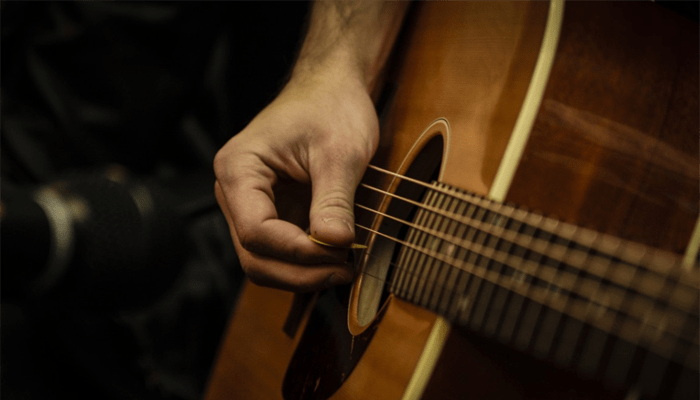 Fingerpicking is great for acoustic players who dabble in folk and singer-songwriter style music. Using your fingers as opposed to a pick will give you a totally different ability and tone. 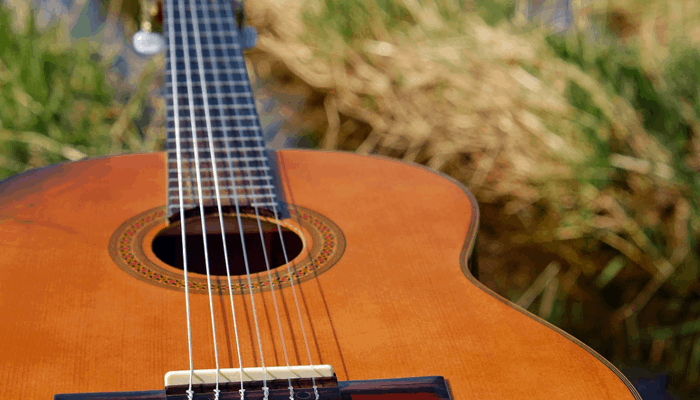 Fingerpicking lets you hit multiple strings simultaneously without any raking of the strings. When it comes to using picks, they are best for any full-time strumming or lead guitar players. This could be the most foundational question asked when it comes to guitar picking. If you do not know how to properly hold the pick, you could be starting off with a shaky foundation. The best way to describe using a pick is to make the "OK" sign using your thumb and index finger. Stick the pick between your thumb and index finger with the pointing edge facing directly downward. 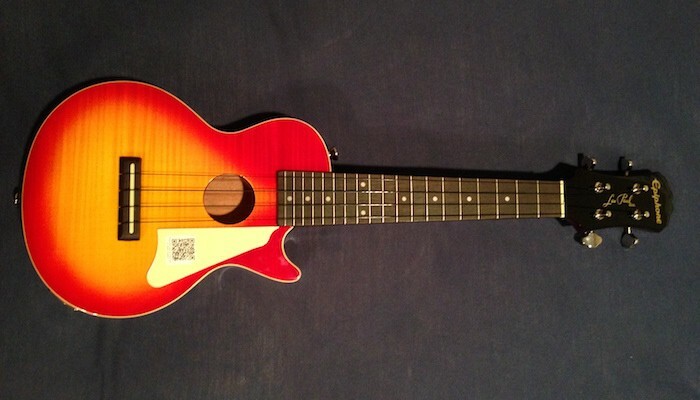 This will give your hand/wrist the proper angle it needs in order to properly navigate the strings. The pick will sit snugly in between your fingers and allow you to move with the nuances of the music. There are a ton of different pick styles. Most commonly available are the standard celluloid and tortoiseshell pick that many guitar players stick with. Nylon picks offer a little bit more texture and grip to suit more aggressive playing. Jazz picks are smaller and generally offer a little more grip as well. Jazz picks get you really close to the action when you need it most. 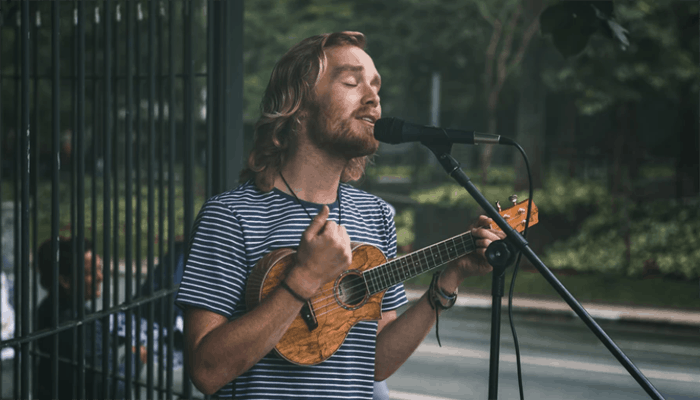 There are thumb picks and finger picks that loop around the fingers and give you the flexibility of fingerpicking with the tone of using a pick. Generally, finger picks are used by specializing guitar players. 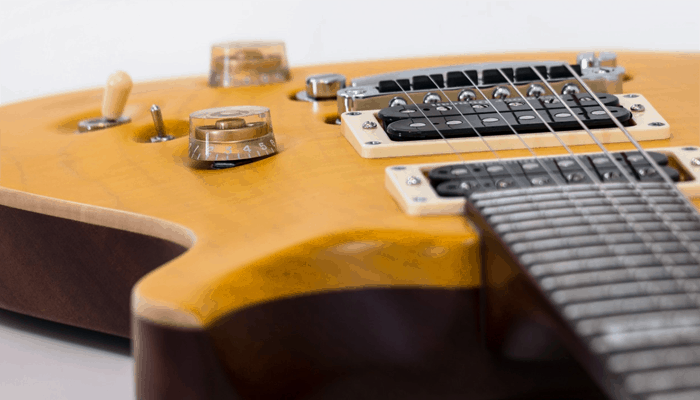 Among these most widely used designs, there are many other miniscule designs that individual guitar players like to make to their pick to suit them specifically. Finding the right pick for you should be an experimental and fun process. 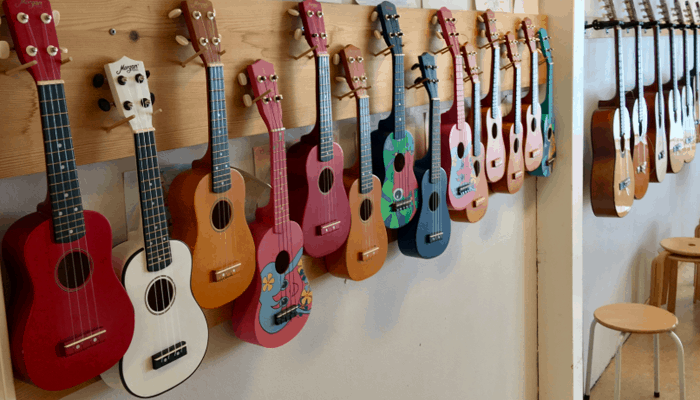 Many guitar players stick with the standard sizes and never switch. But, you may be surprised what is possible when you start to play around with different styles, materials, and sizes. Now you should have all the information you need in order to get the most out of your playing.